A Veuve Clicquot Birthday Gift Basket is available for same day delivery in Las Vegas, Nevada. Including 750ml Veuve Clicquot Champagne Brut and a mix of savory and sweet goodies. A Veuve Clicquot Birthday Gift Basket is available for same day delivery in Las Vegas, Nevada. Including 750ml Veuve Clicquot Champagne Brut and a mix of savory and sweet goodies. 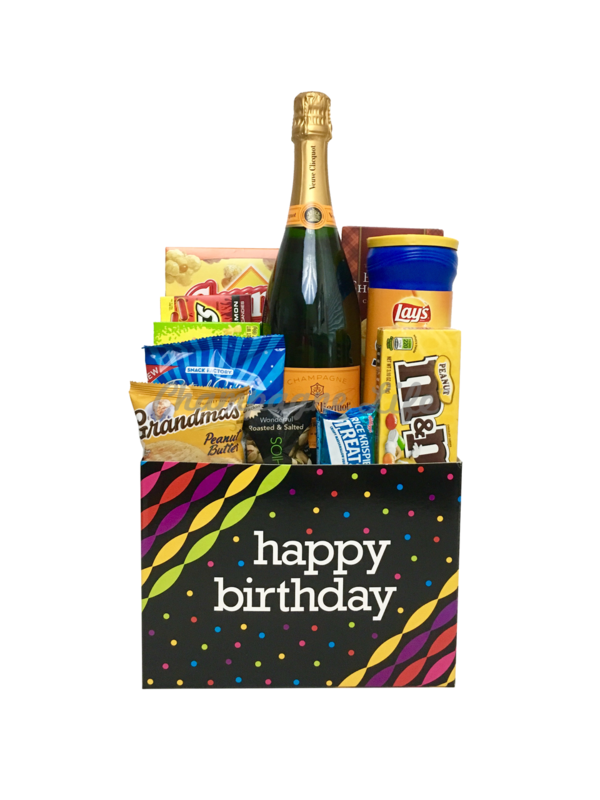 This gift is our Best Selling Gift Basket for Birthdays! All birthday gift baskets are available for same day delivery to Las Vegas Hotels and and Las Vegas Strip Casinos.